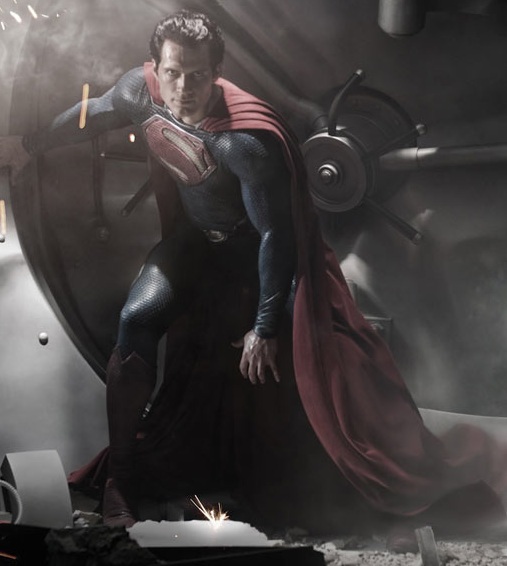 He is the new superman – Henry Cavill, I thought to myself "what does everyone else think? " Certainly looks a bit grittier, but he seems to suit the suit as it were. yes mate- it does look grittier - even the suit is "realistic" one hopes it does the job! It's an interesting take on the character - although, if I were designing a "darker, grittier" Superman suit, I might take a cue from the Fleischer cartoons and make the background of the "S" on his chest black. Or at least a darker color than yellow. He's going to have a heck of a job changing into that costume in a phone booth. thought the costume very spidermanny in material. modern etc.